Ethereum is a powerful platform that uses blockchain technology and provides opportunity to create decentralised applications for value and data exchange. If you don’t grab the idea, don’t worry and just read the article. We will start from the outset. Ethereum was the first blockchain to support Smart Contracts and to allow anyone to issue their own token or decentralized application on top of Ethereum blockchain. 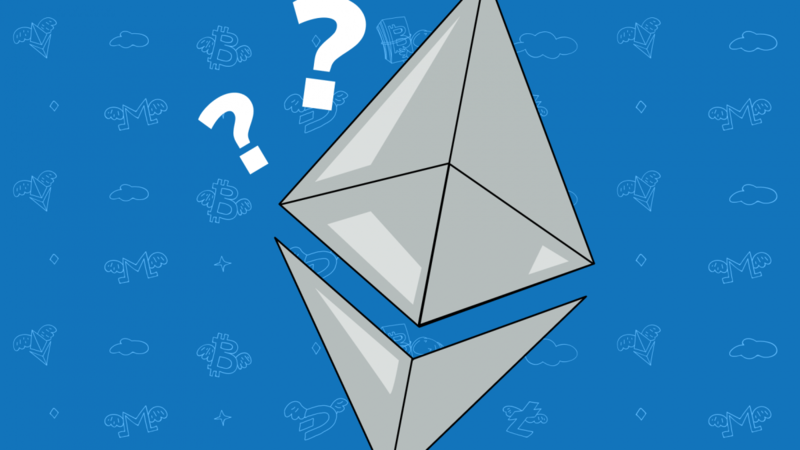 Ethereum appeared because of discontent with the limitations of Bitcoin and idea of a platform going beyond the financial usage. In 2013, the Ethereum whitepaper was published, presenting new technology of alternative platform supporting smart contracts. In January 2014, its development was announced. The initial Ethereum line-up included Vitalik Buterin, Mihai Alisie, Charles Hoskinson and Anthony Di Iorio. Since that time it has become the second most valuable cryptocurrency competing with Bitcoin. The key difference is considered to be in the fact that, initially, Bitcoin was supposed to be a system for transaction of valuable currency, while Ethereum was created to expand Bitcoin’s opportunities and build a platform for broader purposes with usage of smart contracts. The name “smart contracts” was invented by a computer scientist, Nick Szabo, in the 90s. A smart contract is a piece of program with rules and regulations for verification of interactions. It executes “if-this–then-that” algorithm. When the code is written, it is transferred to the Ethereum Blockchain and becomes the same for each node which runs and controls meeting of conditions. As a result, Smart contracts manage interactions between users and govern the behaviour of accounts, providing its reliability. All these processes are executed by computers that means consumption of someone’s computing power and necessity of payment for the provided resources. As a result, all commands in smart contracts have a specific cost expressed in “Gas”. Here we can draw an analogy: Ethereum – a car engine, Gas — gasoline in this car and execution of smart contract is like to take a journey. In other words, Gas is the execution fee that is needed to be payed for every transaction on an Ethereum blockchain. It acts as crypto fuel, driving the motion of smart contracts. Such system has contributed to the spread of ICO (initial coin offering), i.e. a type of funding using cryptocurrencies. As the principles of the system make the process of issuing own tokens more simple as the opportunity is based on the platform of Ethereum and it’s not required creation of new blockchain system. Moreover, it facilitates business processes in the realm of the emergence of blockchain applications (“dapps”). It means creation of blockchain-based user-facing interfaces which offer a connection between users and the technology through a system of smart contracts.